This post originally appeared on Medium. Subscribe to the Voices for Kids publication on Medium. President Donald Trump rarely mentioned children’s issues through much of his presidential campaign, but his inaugural speech to the nation did. However, for much of it, he painted a dark picture of a dystopian America where children are scared, poor, and uneducated. . . .for too many of our citizens, a different reality exists. Mothers and children trapped in poverty in our inner cities, rusted out factories scattered like tombstones across the landscape of our nation, an education system flush with cash but which leaves our young and beautiful students deprived of all knowledge. And the crime, and the gangs, and the drugs that have stolen too many lives and robbed our country of so much unrealized potential. This American carnage stops right here and stops right now. There are some significant problems with both Trump’s assessment of “this American carnage” and, even worse, some of his proposed solutions. 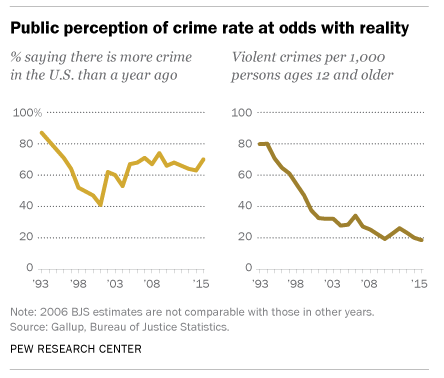 Let’s start with his last point on crime. The “carnage myth” expands when you consider Trump’s statement that we have “an education system flush with cash but which leaves our young and beautiful students deprived of all knowledge.” As the Urban Institute budget analysis shows, that simply is not true. 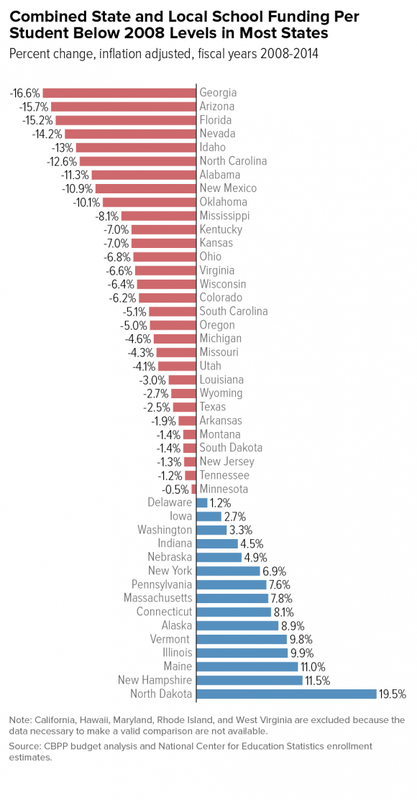 State and local spending on education dropped by $36 billion from 2008 to 2011 or “by more than $400 per child between 2008 and 2010,” according to Julia Isaacs, during the recession. While there may very well be a few wealthy communities that have schools “flush with cash,” most public schools are underfunded and have a student population with growing needs. With funding cuts from all levels of government (federal, state, and local) in recent years, many school districts have had to fire teachers, increase class size, eliminate art, music, and extracurricular activities, and shortchange facility budgets. As an example,NPR reported that one-in-five Arizona school districts have moved to four-day school weeks to save money. In Detroit, teachers and parents had to file a joint lawsuit against the State of Michigan claiming students and teachers were being exposed to “black mold, bacteria, freezing cold temperatures in classrooms, rodent and insect infestations, exposed wiring” and other hazards. Disparities between rich and poor school districts are wide, and in some cases growing. Public school funding in far too many states remain unfair, irrational and uncommented to the resources students must have to succeed. These states’ failure to provide fair school funding strikes hardest at the over 11 million poor, school-aged children across the United States. . . .for low-income families, a 10 percent increase in per-pupil spending each year for all 12 years of public school is associated with 0.43 additional years of completed education, 9.5 percent higher earnings, and a 6.8 percentage-point reduction in the annual incidence of adult poverty. Trump’s advisor, Kellyanne Conway, made matters worse when she argued on NBC’s Meet the Press on Sunday that “we spent billions of dollars on education in the last eight years only to have millions of kids stuck in schools that fail them every single day. Again, that statement is simply not true. First, as has already been shown, public schools receive billions of dollars less today than they did eight years ago. The fact is that policymakers at all levels of government have failed to invest in our children. 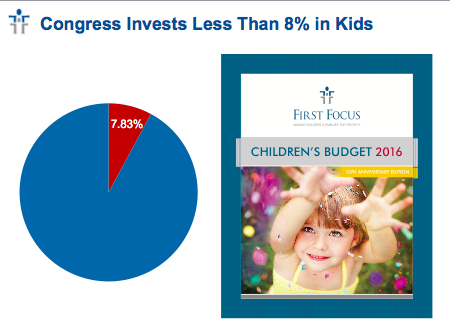 At the federal level alone, the share of federal spending on children has dropped to just 7.8 percent. If the Trump Administration really wants to “make America great again,” then it should take action to invest in our nation’s children rather than promoting myths or harmful policy solutions. Second, I think Conway would agree that parents would be a greater authority on how their schools are performing for their children than she is, and they overwhelmingly disagree with her. 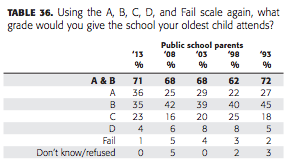 According to a poll by Gallup and Phi Delta Kappa in February 2016, 71 percent of parents gave the school their oldest child attends either an A or B, and just one percent of parents in the survey gave their child’s school a failing grade of F. By definition, that means 99 percent of parents disagree with Conway’s negative assessment of their children’s public schools. As for Trump’s assertion in his inaugural speech that public school students are being “deprived of all knowledge,” that is simply ludicrous. The only possible explanation for that statement is that he is somehow confusing the students in public schools with Betsy DeVos, his nominee to be Secretary of Education. At her confirmation hearings, it was DeVos who showed an utter lack of basic understanding, experience, and knowledge with respect to an array of education issues. . . .disadvantaged students enter school far behind their more advantaged peers. But instead of getting deadly serious about remedying that fact — by making sure such students are in high-quality early childhood and pre-K programs, attend schools staffed with teachers and leaders who have the skills and knowledge to help each student reach high standards, get after-school counseling or tutorial assistance or the eyeglasses they need to see the smart board — the current American system exacerbates the problem by giving these children less of everything that makes a difference in education. This link between education attainment, equitable school financing, and poverty is critical if we wish to live up to our nation’s promise to strive to provide equal opportunity. Due to our highly inequitable system of financing, children currently receive wildly different and inequitable levels of funding just because of their school district, zip code and school they attend. We should also not undermine our nation’s public schools through school choice voucher initiatives, as have been promoted by none other than DeVos in her home State of Michigan. DeVos’s privatization movement in Michigan have harmed public schools and failed its students. Although Trump does not seem to grasp or make the linkage between efforts to reduce poverty in order to improve education attainment, his speech did call for the nation to address the “carnage” of “mothers and children trapped in poverty in our inner cities. . . .” We very much appreciate his focus on taking action to reduce child poverty, as far too many of our nation’s leaders simply ignore the issue completely. However, President Trump should stop singling out “our inner cities” for that focus or he will leave millions of rural and suburban children behind. In fact, although urban (27.2 percent) child poverty rates exceed that of rural (24.3 percent) and suburban (16.0 percent) kids in 2015, the Carsey Institute at the University of New Hampshire reports that rural children have higher rates of child poverty than urban kids in the 19 states of Alabama, Alaska, Arizona, Arkansas, Colorado, Florida, Georgia, Hawaii, Idaho, Kentucky, Louisiana, Montana, New Mexico, North Carolina, Oregon, South Carolina, South Dakota, Virginia, and Washington. The fact is that child poverty is confined to neither “red” nor blue” areas of the country, as poverty impacts an astounding 30 percent of children in both the “blue” cities of the Northeast and “red” rural areas in the South. Moreover, the 11 states with child poverty rates that are at 24 percent or greater were Alabama, Arizona, Arkansas, Georgia, Kentucky, Louisiana, Mississippi, New Mexico, South Carolina, Tennessee, and West Virginia — ten of which voted in favor for Trump for president and are more rural, as a group, than the national average. With that in mind, we are urging the Trump Administration to work with Congress and find bipartisan solutions to address child poverty in the coming year. For example, our nation’s leaders could make real progress for children by adopting a Child Poverty Target, passing a number of important bipartisan bills, including the Family First Prevention Services Act, the Homeless Children’s and Youth Act, and the Two-Generation Economic Empowerment Act, and reauthorizing both the Children’s Health Insurance Program (CHIP) and the Maternal Infant Early Childhood Home Visiting (MIECHV) program. Consequently, at the very least, Trump and Congress should adopt a “do no harm” standard for our nation’s children and families. Among other things, they should enact no changes to our immigration policies without first protecting DREAMers from harm. They should not repeal the Affordable Care Act (ACA) without a replacement that would protect American children and families from being left worse off with respect to coverage, benefits, or affordability. 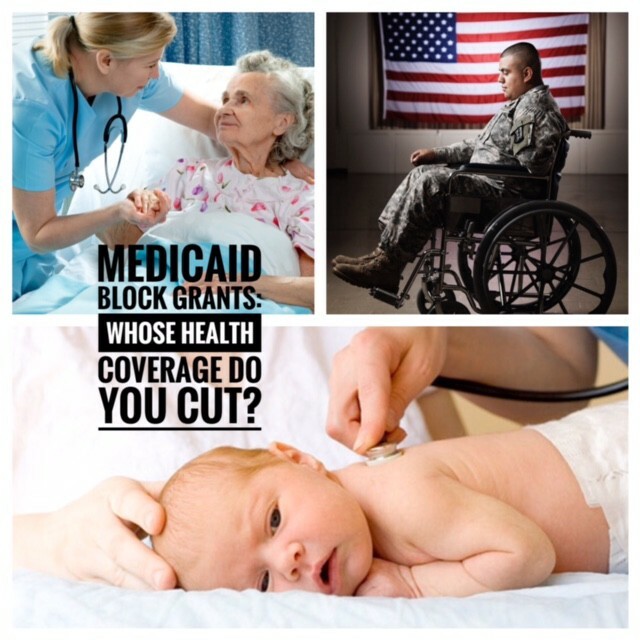 And, they should refrain passing policies that would do considerable harm to our nation’s children, such as the block granting of Medicaid. . . .whether a child is born in the urban sprawl of Detroit or the windswept plains of Nebraska, they look up at the same night sky, they fill their heart with the same dreams and they are infused with the breath of life by the same Almighty Creator. In the next four years, 16 million children will be born in America. If we want to do right by them and allow them to fulfill their dreams, then it requires that we invest in their future.